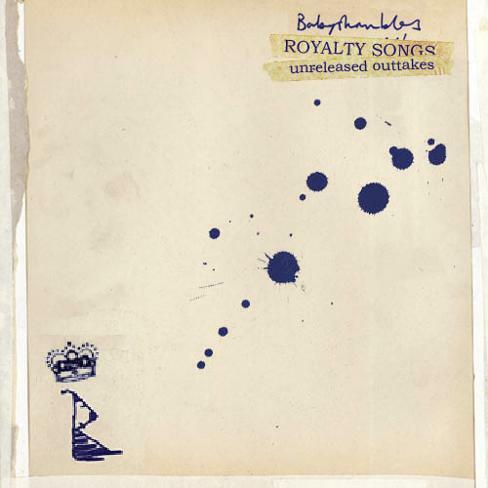 The Royalty Songs are a collection of Demo tracks that are out-takes from Babyshambles' Down in Albion recordings. Although Down in Albion was released in 2005, it wasn't until September 2006 that The Royalty Songs were leaked onto the internet. They were put up for bid on eBay, and the person who won the CD containing the tracks (username "Nudefootballer") uploaded them to the unofficial Babyshambles forum. The winning bid on eBay was £7.56. Although the below track listing is correct, the track list on the artwork for "Royalty Songs" has some errors. Track 8 is listed as 8 dead boys, when it should be Monkey Casino. Track 9 is listed as Monkey Casino, when it should be Albion. Track 10 is listed as Albion, when it should be Black Boy Lane.